The New Year is always seen as a time for change, and 2017 is the year to make the move to a master-planned community that has phenomenal homebuilders! 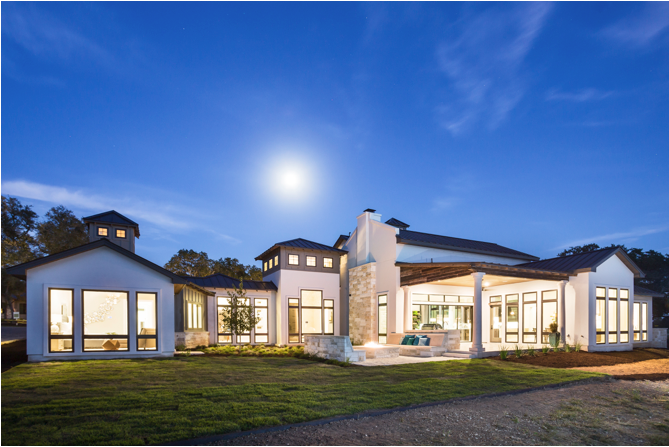 Caliterra in Dripping Springs has plenty of modern homes available for the New Year. Here’s what you need to know about our new homes in Dripping Springs. Are you making a resolution to get outside more with your family? If so, then our brand new homes are perfect for that! Caliterra prides itself on being a development that is best known for what’s not being developed. Every one of our new homes is immersed in nature. All of the homes in our master-planned community are built by exceptional homebuilders. We have eight homebuilders, five of which are custom homebuilders. Every single one of our homebuilders put an emphasis not only on building the best home possible, but also using green building practices. Not only do our homebuilders care about the quality of their service, but they also design magnificent, modern floorplans. Designed to fit perfectly with your lifestyle, each of our homes is perfect no matter what stage of life you’re in – young families, growing families and empty nesters alike! Caliterra in Dripping Springs has tons of wonderful amenities where you and your family can go and play the day away! From the Treehouse Park to the Adventure Club, our master-planned community has plenty of nature-focused amenities in close proximity to all of our new homes. Are you ready to ring in the New Year with a new home in Caliterra? If so, contact us today, and take a look at all of our available homes in our master-planned community!